The Swiss Kiwi Yodel Group is a fun group of guys that really bring on the homesickness when singing their wonderful Swiss Yodels. After some recent changes we are eager to start afresh with a lovely repertoire of Swiss songs and yodels. 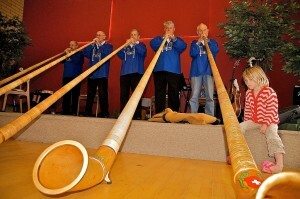 A few of the yodlers also play some amazing tunes on their alphorns. 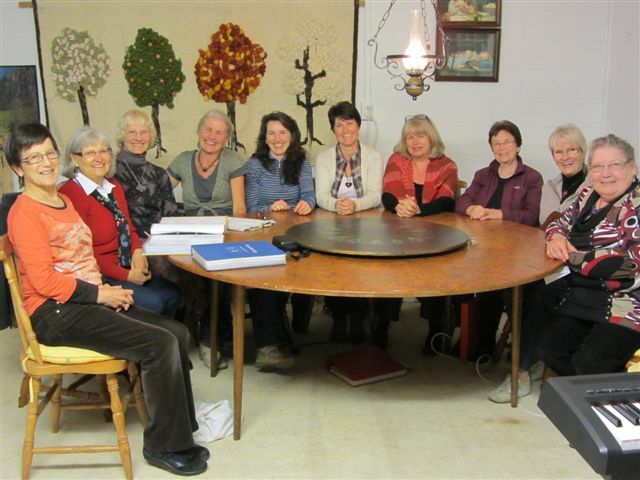 We are a group of a good dozen Swiss women and meet twice a month in Glenfield. 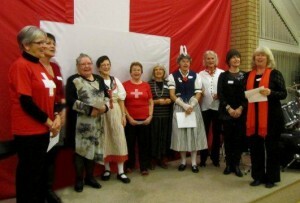 Our repertoire consists of a big variety of mainly Swiss and German songs. Many are traditional ones, but we are learning some more contemporary tunes too. We are often accompanied by our professional pianist, sometimes we sing a capella, or with ukuleles or guitar. Occasionally the recorders and flutes come out. 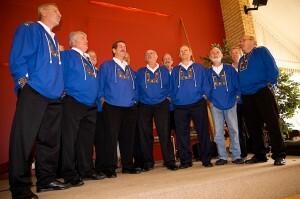 We value our singing, but what is just as important is our camaraderie and friendship. But we do make a point of having an extended cup of tea with some treat in the second half of the Tuesday evenings, where we exchange some of our joys and worries. 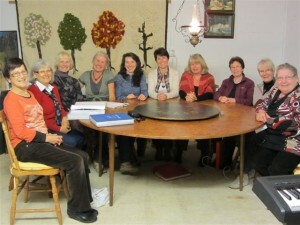 Our group neither has a charter nor a membership fee. We do have a folder where we keep our 140 or so songs. It is always a work in progress, as new ones are added, and less popular ones taken off. Usually we take the plunge and perform twice a year – on the National Day celebration and at our Christmas Carol singing. 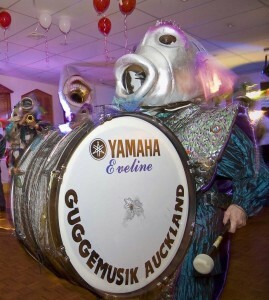 Guggemusik Auckland is the only Swiss style carnival band in New Zealand. They play an interesting mix of modern and traditional music and are predominately made up of brass instruments and percussion. Guggemusik have an infectious nature to their music and although not ‘note perfect’ the music is high energy and fun and leaves a lasting impression on audiences. Currently made up of approximately 25 members, they are always looking for more people to join in the fun! 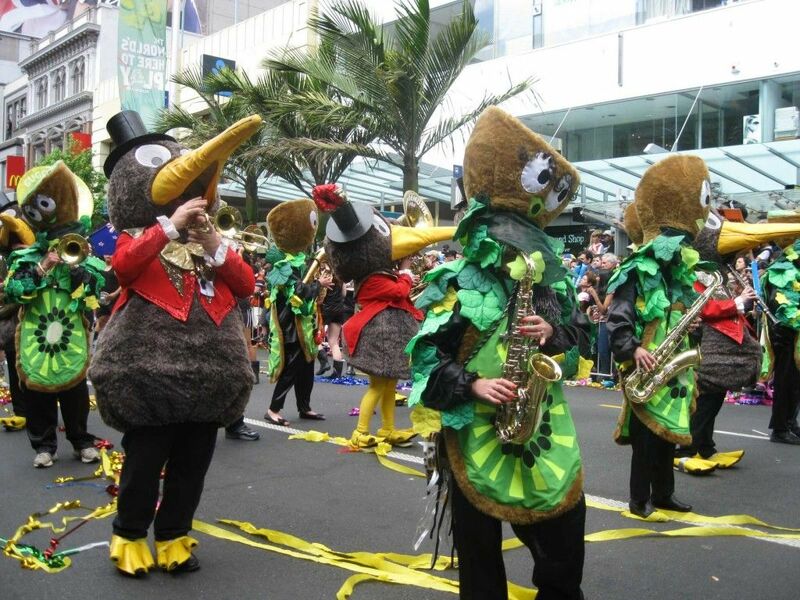 If you are interested email info@carnivalband.co.nz. Visit the website for information on recent performances and to see photos and videos www.carnivalband.co.nz.